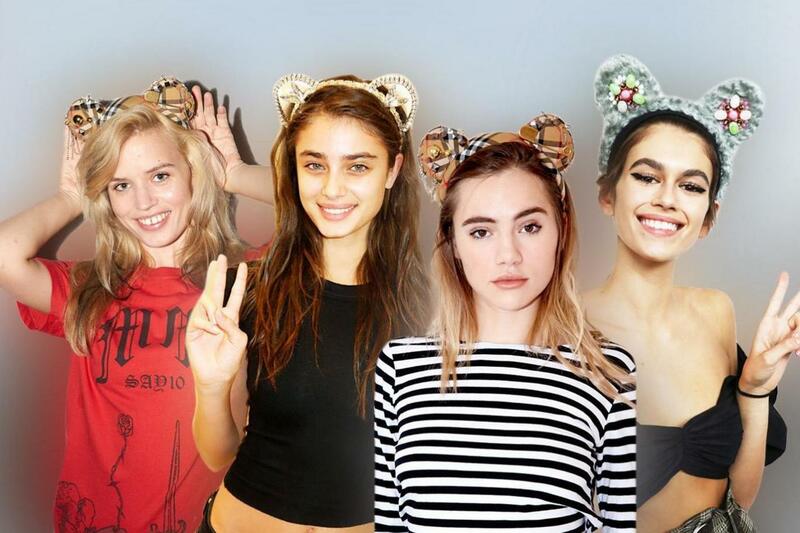 BBC Children in Need has today launched its first ever collection of designer Pudsey Ears. Joining forces with a host of top models and high-end designer brands, the one-off pieces have been created by some of the biggest names in fashion for the collection curated by Katie Grand. Burberry, Fendi, Gigi Hadid x Tommy Hilfiger, Gucci, Louis Vuitton x Supreme, Miu Miu, Prada and Selena Gomez x Coach are the brands behind the designs which will be auctioned off online here and available to the highest bidder from 9am November 9 to November 19 with all proceeds going to Children in Need. In addition to the Pudsey Ears, Louis Vuitton x Supreme have created a one-off 28 inch version of Pudsey Bear from denim fabric from the iconic collaboration.Modelling the collection are the new face of British Vogue Adwoa Aboah, Thylane Blondeau, Edie Campbell, Kaia Gerber, Neelam Gill, Selena Gomez, Taylor Hill, Georgia May Jagger, Iris Law, Amber Le Bon, Erin O’Connor, Eric Underwood and Suki Waterhouse.